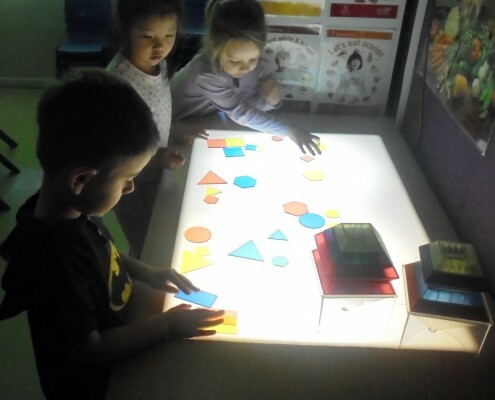 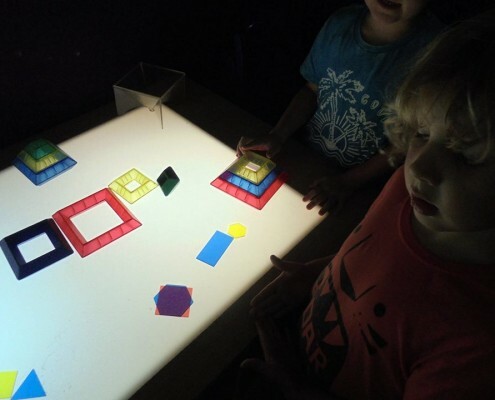 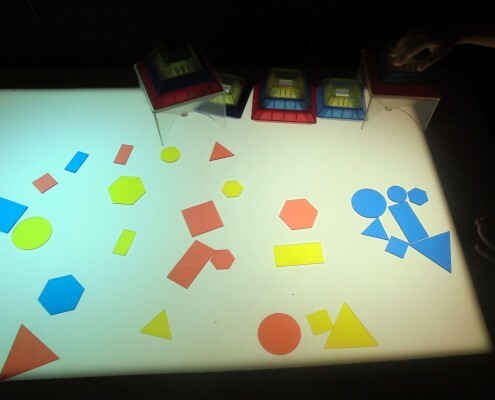 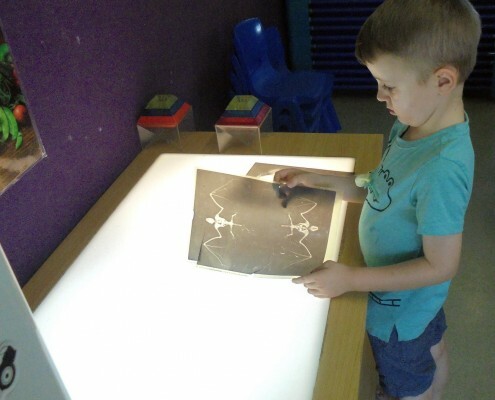 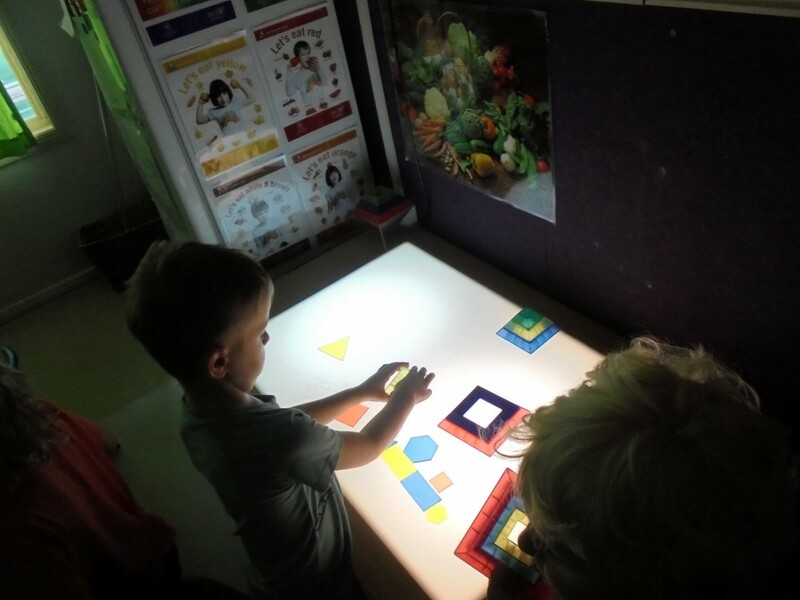 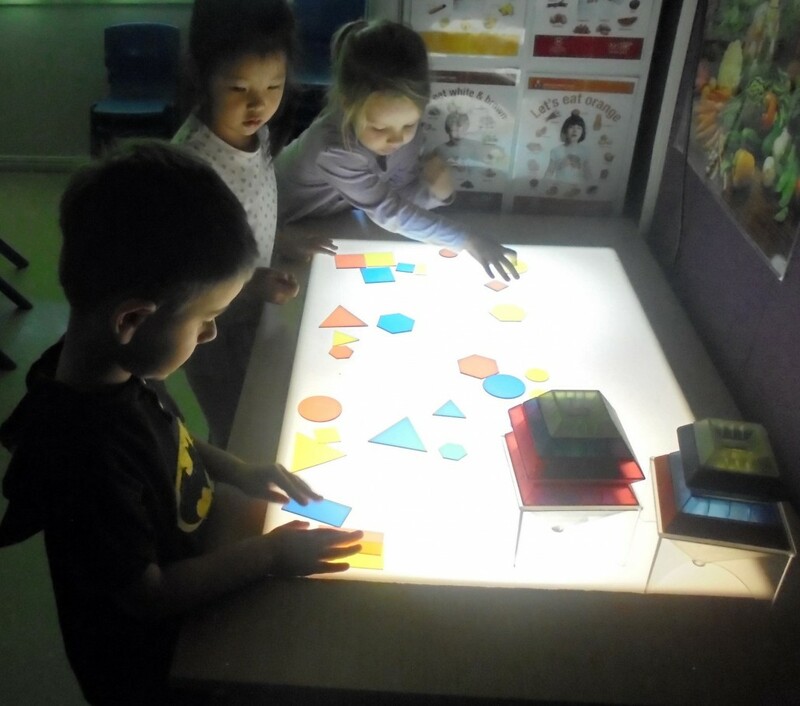 Our Harbour Town kindergarten class recently experimented with a lightbox, using coloured discs and images. 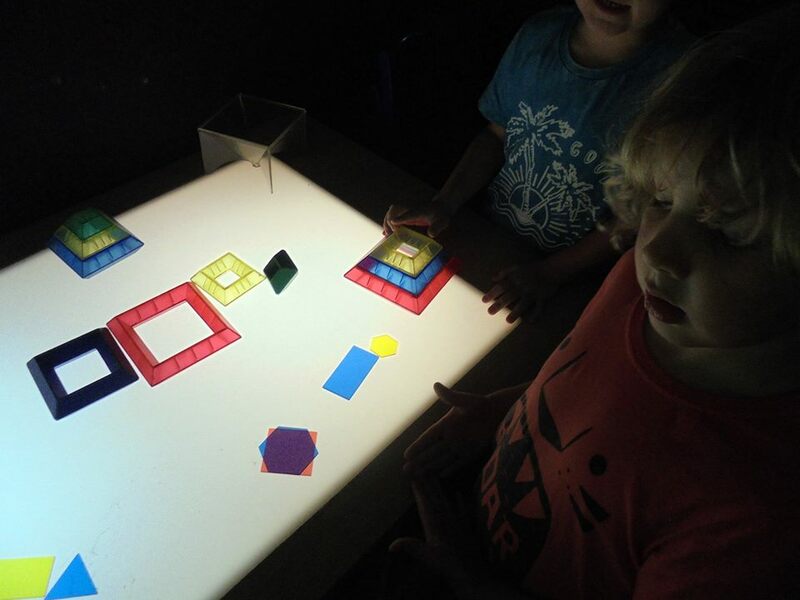 During this session, our educators guided the children through a range of science-based concepts, playing with light, reflection and darkness. There were many elements explored with the children experiencing different levels of fascination and intrigue, as well as risk, challenge and of being scared. 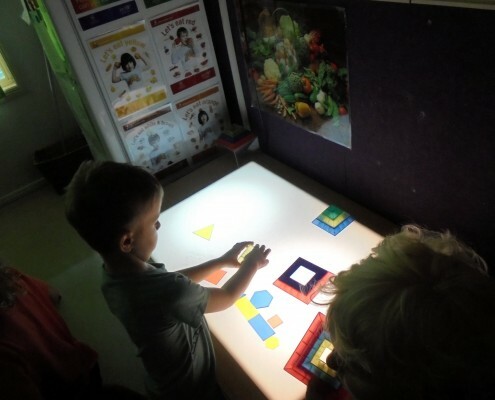 Examining light and shadow enables children to appreciate the awe and wonder of the world around them and provides an environment where children can develop their natural curiosity and is another aspect of Reggio Emilia principles or approach that are embedded within our program at Harbour Town Kindyland.